Furniture design is an important branch of design since it shapes up the spaces that we encounter and interact with every single day. 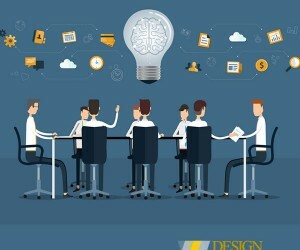 To see designs that go out of the ordinary and solves problem creatively can always bring a smile to our faces. 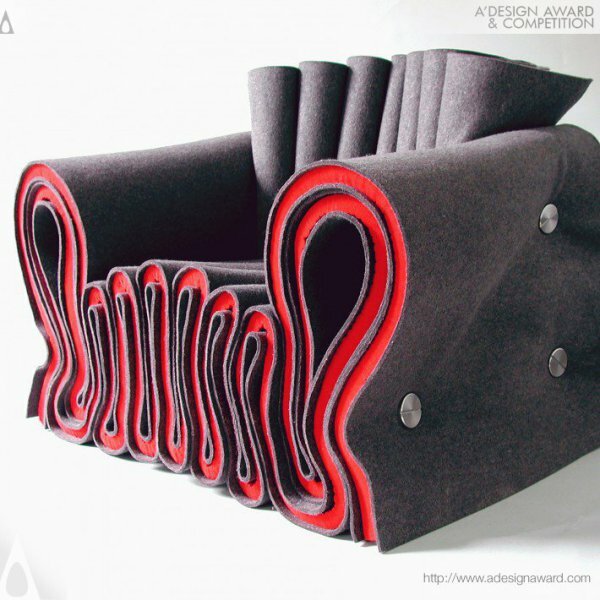 Here is our collection of 20 inspiring furniture design, whether you are a designer looking for something to get your creative fluids circulating or someone who just want to get some ideas about the endless possibilities, here is the perfect list for you. Voltaire is a beautiful piece created by Stelarbloom. Voltaire is both a functional table and an impressive lighting sculpture that will become the centre of attention in any room it’s placed in. 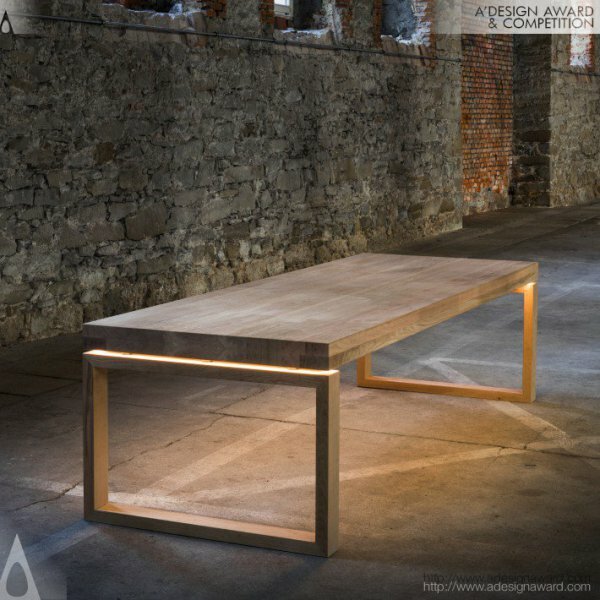 The carefully placed lighting at the connections between the table’s components gives the impression of a floating table top, making the heavy table top feels like a lightweight feather. 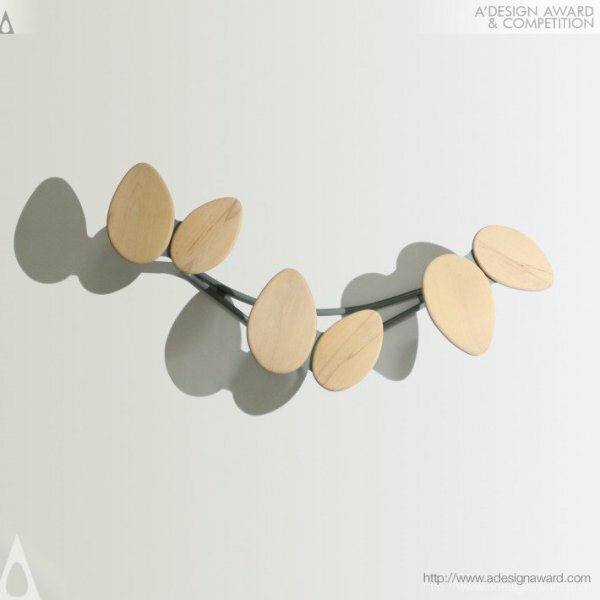 It also created a subtle geometric light play with shadows on the ground, giving a strong character to the environment. Spot is a multifunctional sofa designed by Vinicius Lopes and Gabriela Kuniyoshi to be suitable for several of purpose and environments. It is a beautiful solution for different variety of users with different expectancies. Whether you want to study, work, and storage or recharge your electronic devices, Spot is going to be the right answer from you. 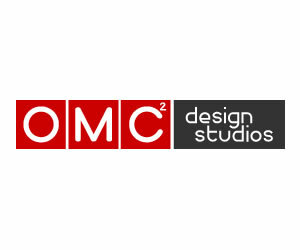 You can create different combinations choosing the number and place of the armrests, change the length of the backrest, create working spots utilising the shelves in your desired position to create your furniture for your layout. 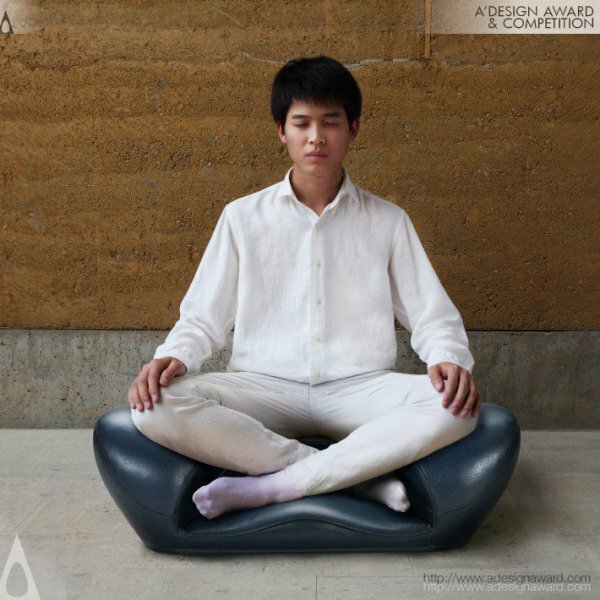 Meditation Seat Ware is designed by Gao Fenglin for cross legged sitting position to ensure a comfortable seating for meditating people. Its unique shape distributes the force of buttocks evenly to the outside of the knee and the thigh. The Meditation Seat Ware ensure a painless seating even when utilised in long times. 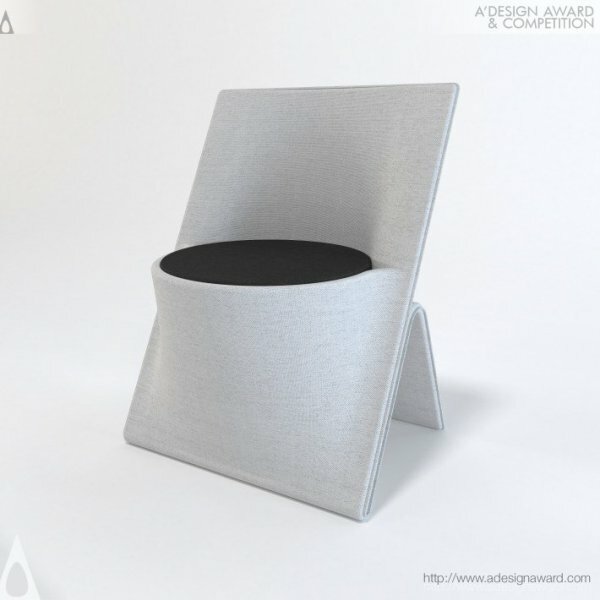 Meditation Seat Ware is not only a reflection of the culture but also a study of ergonomics. Inspired by the clean and minimalistic shapes, Svilen Gamolov created Exo Chair. Exo Chair has characteristic that changes the way we look at a chair. Its pure lines ensure suitability of today’s modern interiors and reduce the visual noise in the interior environment. Exo Chair is a minimalistic modern sculpture and a chair that guarantees durability and comfort. 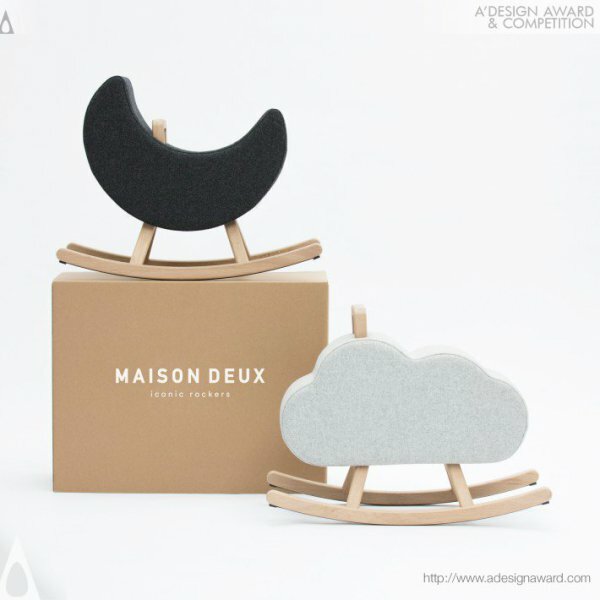 Iconic Cloud Chair is a part of rocking chair series, all created by Maison Deux. Iconic Cloud Chair is the handcrafted, new generation of rocking chair, appealing both to the parents with the beauty it brings to the environment it is in, and to the child with all the fun it brings. 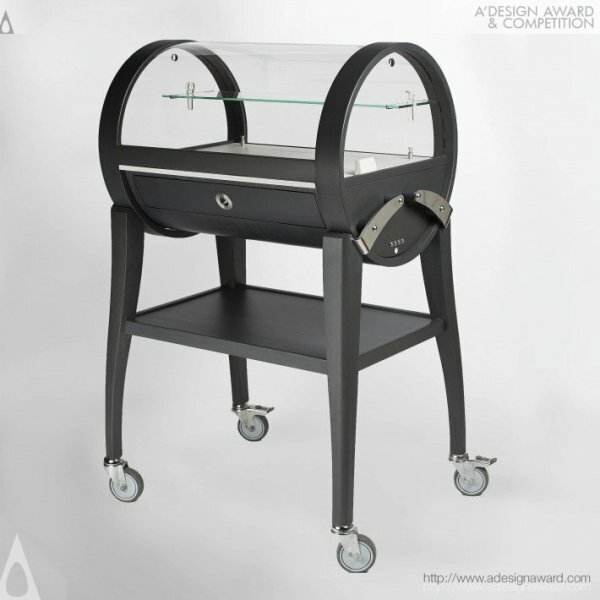 Patrick Sarran designed Sweet-Kit Chilled desert trolley for the pastry chefs and restaurateurs to demonstrate the dessert options in a stylish and delicious way. Born from the idea of XXth century trolleys, Sweet-Kit Chilled showcases the desserts under the cylindrical hood. It can be used to showcase ice cream, pastries, fruits, and biscuits, hot and cold sauces, assuring they will be as tasty as they were in the beginning when they are served to the table. Tomohiro Horibe designed the Brooklyn Laundreel, an indoor laundry belt, to keep up with need of people living in today’s changing conditions when drying the laundries outside is not an option. With increasing air pollution, hay fever, privacy issues, etc. lots of people started drying their laundry inside and Horibe made sure this chore is taken care of without occupying high volumes of racks inside the house. Brooklyn Laundreel works with the mechanism similar to a tape measure, hanged and stabilised between the points of desire and it can carry a load up to 15kg which is way more than an average washing machine can handle. The original Joseph Felt Chair Seating is created by Lothar Windels by pressing six rolls of interwoven fabric together with stainless steel fasteners. The way elements are composed created the necessary internal structure to withhold the users’ weight, eliminating the need for additional internal structure. Joseph Felt Chair is certainly a creative and innovative approach to create a timeless design with a memorable appearance. Blanco Profina is an apront front kitchen sink, designed by Blanco to show a kitchen sink can be more than a kitchen sink. 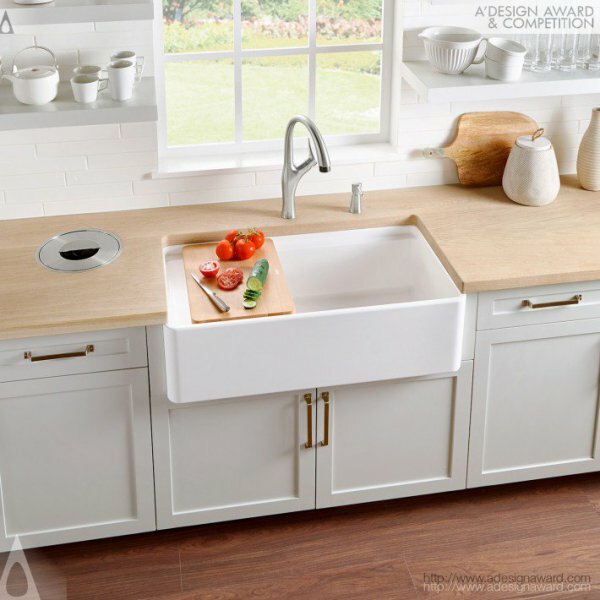 Blanco Profina finds the perfect balance between a generously sized farmhouse sink and the counter space. It incorporates an innovative Accessory Ledge, to ensure to make up for the occupied counter space by functioning as a part of the counter itself when needed. The integral ledge provides added workspace for a cutting board and dish rack/colander. Yosegi is a multifunctional stool created by Yoshiaki Ito. Yosegi is inspired from the Japanese Shinto Kumiki puzzles and designed with the Yosegi and Tsugite techniques. It aims to be a furniture puzzle piece in your home which you can use as a companion seat, footrest, footstool or a perfectly symmetrical twin to admire depending on your needs. 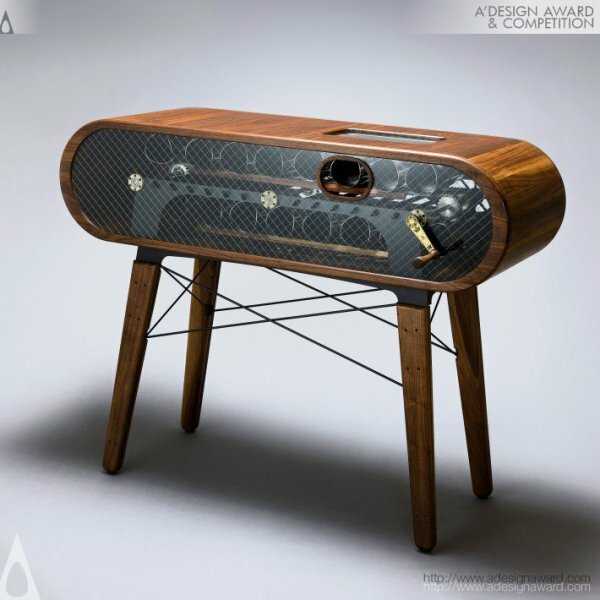 Wine Credenza II Table is a fusion between a table and a wine holder, designed by Han Sung-Jae. Wine Credenza II includes metal frames to place the wines and a rail system together with a handle to move the wine bottles safely within the structure. The clear view from the top helps user to see the labels and choose the wine while the activity of turning is designed to be joyful interaction for the user. Han Sung-Jae not only created a visually appealing table with wine storage, but made the user become the medium of communication between the artist and the user. 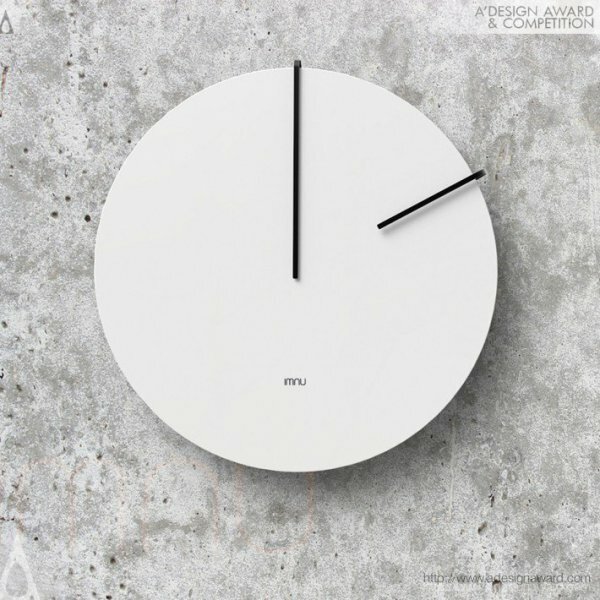 Imnu Wall Clock is a totally different approach to how we demonstrate time and it is designed by Jara Freund. Instead of hands coming from the centre, Imnu wall clock has hands that are bend from back towards the centre. Long and short handles still show the time like the conventional clocks, but make sure the overall impression of the clock is unique, filigree and light with the floating like look that it incorporates. 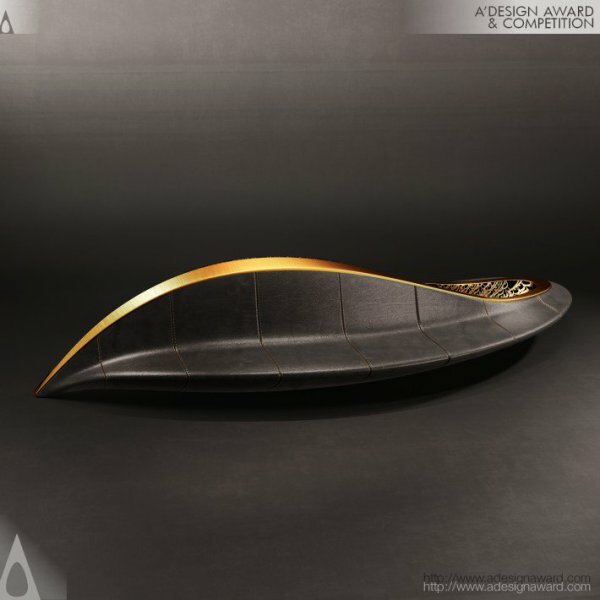 Hamid Packseresht and Reza Salianeh designed the Mulian Sofa inspired from a famous Persian poem and the original Iranian music instruments to create something beautiful and unique, almost like an object you’d encounter in a museum. The poem which the sofa is inspired from, Mulian, is engraved on the metal structure by a Persian artist and an app is created for the users to learn more about the sofa, listen to Persian traditional instrumental songs while on the sofa and to have a better experience in regards with Persian culture and design. 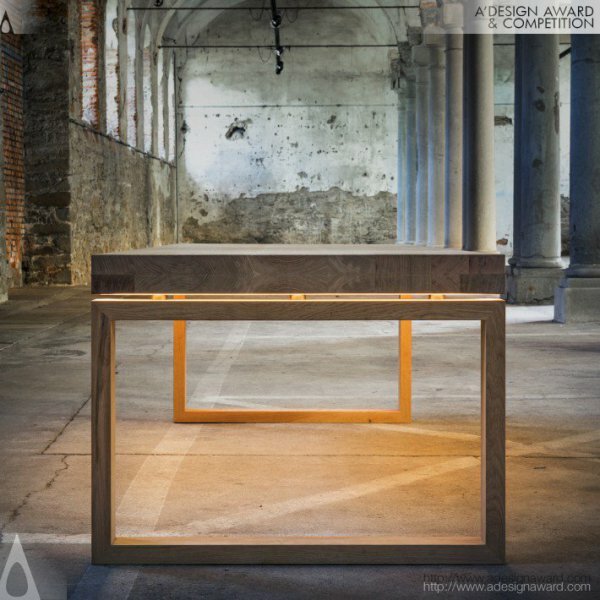 Dren Begolli created the S13 Sideboard using 3D pattern to give light and shadow play, which gives an impression of movement to the design. 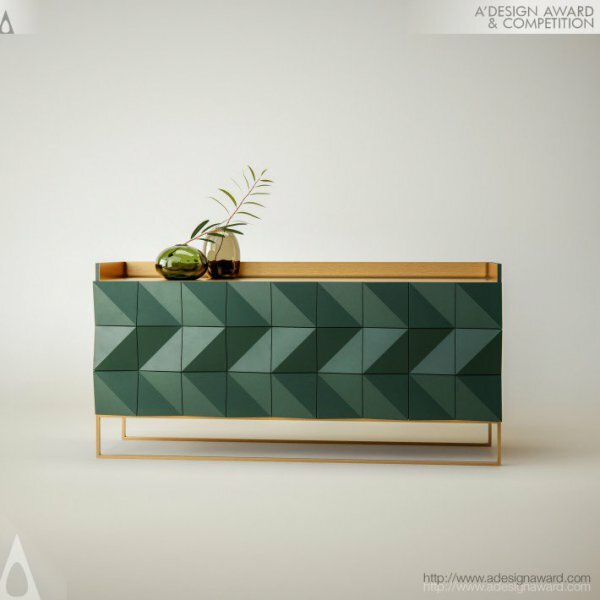 Proportionality and symmetry make the sideboard unique and to portray a different look at every hour of the day depending on the shadow created by the angle of light. 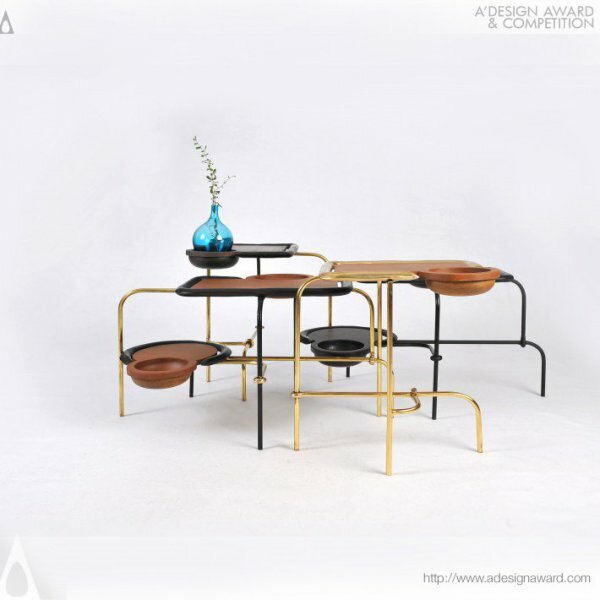 Compound Table Set Coffee Table and Side Table are created by Apiwat Chitapanya and Kanlaya Limjantra to create a simplistic coffee table with the foundation of geometric shapes. 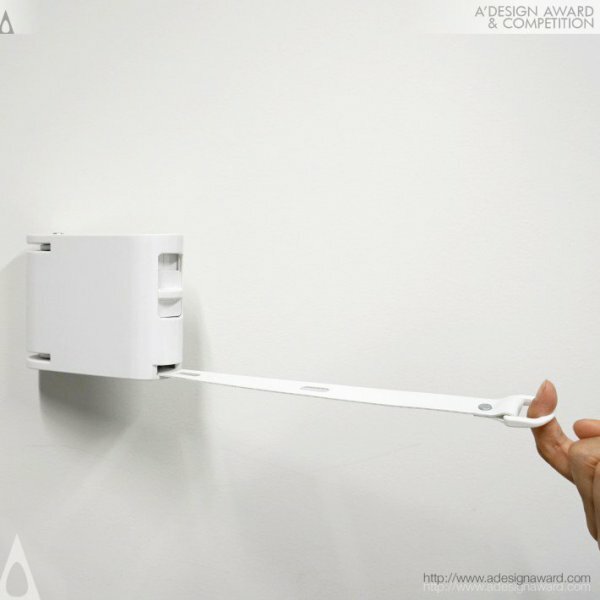 The way each part is designed gives user the ability and freedom to create the combination she/he wants. 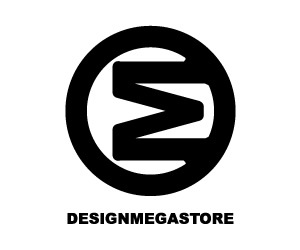 Each top has different designs and sizes to be suitable for different needs. 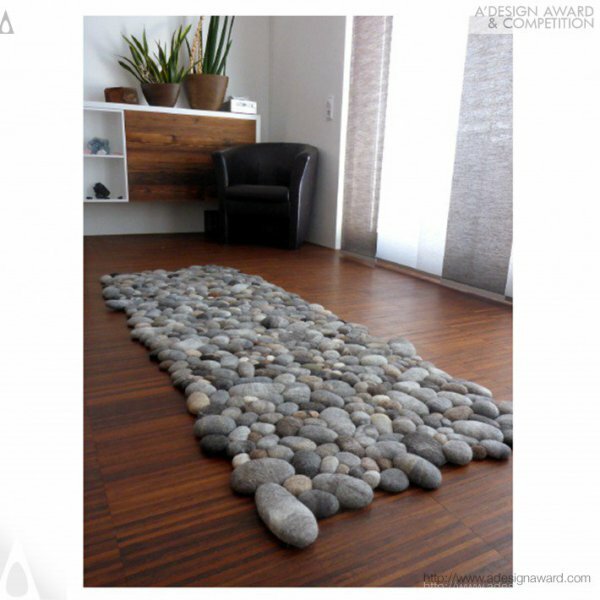 Felt Stone Rug Runner, designed by Martina Schuhmann, is a runner with a mind game. 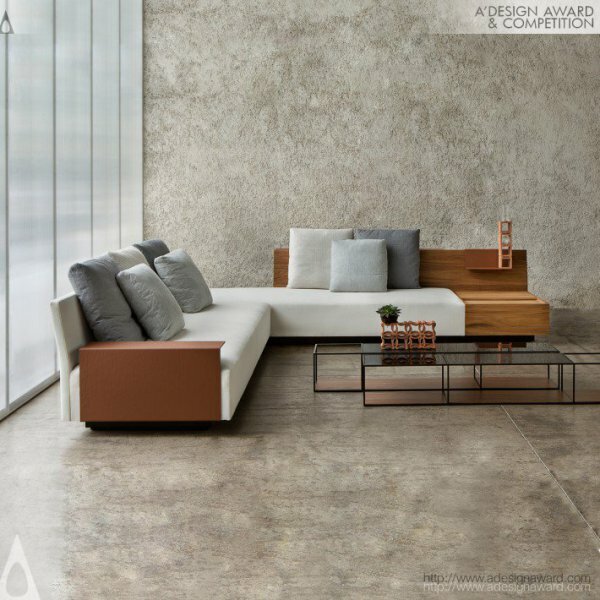 Its look designed to mimic natural stones and the goal is so successfully achieved that it is expected to feel like real stones, hard and uncomfortable under the soles of the feet. However, this optical perception changes with the soft texture you feel when you step on the runner. Each stone is sewed together and with the mat to ensure durability. Raza Zahid designed the Guftaguu Adaptive Seating with three rotating seats to allow for a wide range of configurations, resulting in multiple types of interactions between its users, with a desire to enquire into the interplay between people, objects and space. Predominantly envisioned for public space, the 'Guftaguu" (Interaction) seating system's introvert and extrovert compositions mimic the organic essence of conversation; with oneself, between friends or in a chance encounter with a stranger. Balance Box by Loopkeramik is a box with spatial presence and poetical statement. It should neither be at the edge, nor hiding things. 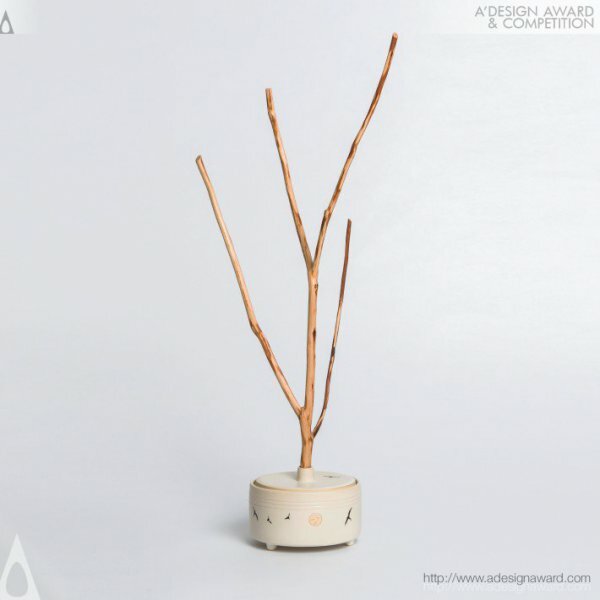 Rather seems the generously proportioned branch handle to grow out of the box. 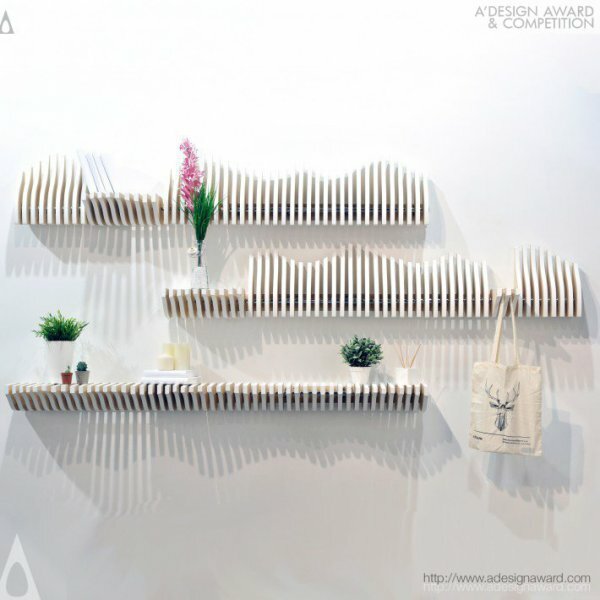 Köllen Bookshelf Multifunctional shelf is created by Kollen design and it consists of a shelf created from the repetition of adaptable pieces in matter of size and shape of the objects on it. Each piece is independent and therefore could be rotated by the user to be shaped in the desired way and to serve for variety of use cases. 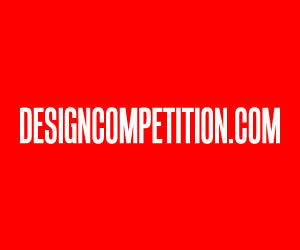 The list can go on, but we have chosen the 20 best from the A’ Design Award and Competition winners. 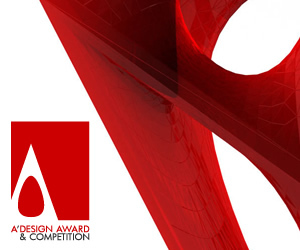 If you wish to see more from great award winning designs, make sure you keep an eye on A’ Design Award and Competition! 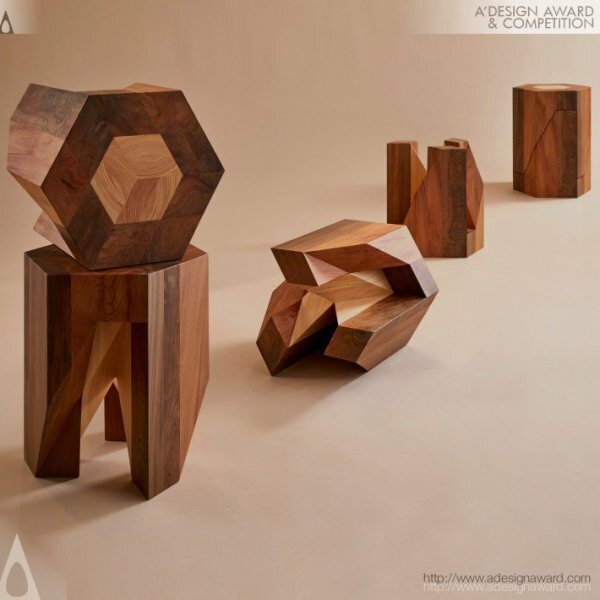 This article was added on Wednesday, 14th of November, 2018 at 08.34 am by author Frank Scott Tags: Furniture design award, inspiration, design inspiration, A’ Design Award and competition, furniture design, furniture inspiration, creative furniture designs. Read our copyright policy here.